Watch Party is also coming to profiles and pages in the future. Facebook has made it clear that it wants to make video a crucial part of its business, as it looks to compete with the likes of YouTube, Amazon and Netflix. And, over the past few months, the company's been making changes to help it get there, launching new features aimed at making videos more social. One of those is Watch Party, an experimental tool introduced in January that lets members of Facebook groups watch videos together and simultaneously. That shared watching experience, which works with both live and pre-recorded videos, was only available to select users when it was first announced, but now Facebook is bringing it to every group worldwide. 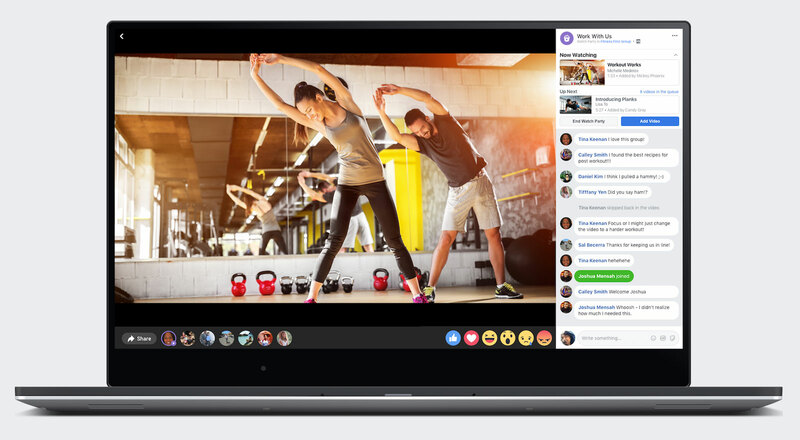 With more than 1.4 billion users per month, groups has become a core product for Facebook, and it intends to use Watch Party to keep even more people locked in and connected to those who share similar interests. Facebook says that it's heard from group leaders that Watch Party is perfect for people watching things like Q&A sessions and how-to tutorials about cooking, crafting, home improvement, playing an instrument and more. 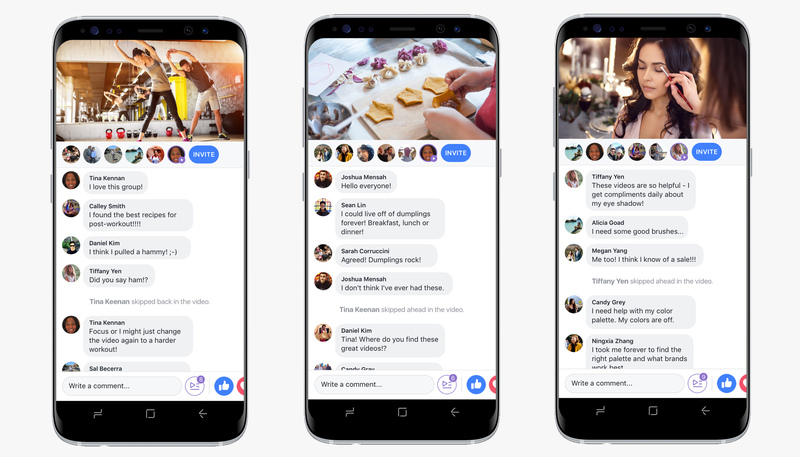 Back in April, the company said that nearly two billion people had watched Facebook Live broadcasts to date, demonstrating the potential for features like Watch Party -- especially since users who watch together can comment and add emoji reactions in real time. Soon, those Watch Parties won't just be limited to groups. Facebook also revealed that it is already testing the tool with profiles, while pages (public profiles for businesses and other organizations) could get it in the near future, as well. Facebook says that, in its internal testing, some Watch Parties were able to generate thousands of comment from people who were watching a particular video simultaneously, with some groups dedicating over 10 hours to a single Watch Party. The success of Twitch has already proven that there's a dedicated audience looking to watch internet video with others, regardless of the genre. For profiles, Watch Party could be a good way to have shared viewing experiences with close friends and family members. The same goes for pages of brands or news publications that want to show videos of, say, an unboxing of a product or host a conversation about a recent story. For Facebook, the goal here is simple: To keep users interacting with one another as much as possible. Naturally, as Facebook continues to deal with controversies around the spread of toxic content on its site, Watch Party isn't exempt from that. Erin Connolly, Facebook's product manager of social video, to Engadget thatthe company will use all the tools at its disposal (including artificial intelligence) to ensure that Watch Parties are safe for everyone. She added that Facebook will also rely on group administrators and other users to report any content or interactions that may be harmful, just as it's done for any video on Facebook Live. "Keeping the community safe is something that's really important to us," she said, "and [that's] a responsibility we take really seriously across Facebook." Connolly said that, as Zuckerberg has expressed publicly, Facebook continues to invest in systems which can help detect potentially unsafe material on the platform faster -- and that's going to come in handy as Watch Party expands. "This is something that we care deeply about," she said. "We'll be obviously monitoring really closely, and continuing to hear feedback from the community to make sure that this is going well." "We really want to bring people front and center, to the end-to-end video experience," Connolly added. "Watch Party really embodies a lot of our social video vision."